Last Autumn part of my local Transition Town, Kensal to Kilburn were out gathering local produce such as apples, pears and grapes. It was my good fortune to taste some of the wine that had been maturing in 3 separate demijohns since then, all of which had a unique taste. 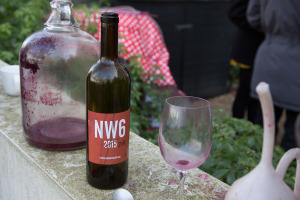 Not entirely mature, the consensus was to postpone bottling until April, with hope that a better flavour will be evident, and a street party is organised of the 2nd attempt. NW6, the London postcode of Kilburn and Queen’s Park is being used as the brand. The heartwarming way in which it has come into this world is through a collaboration of up to a dozen vine owners, all local, plus the involvement of 30 neighbours. “We trampled barefoot, our legs blood red as we came out of the barrel.” remarked co-ordinator Leo Johnson. More pictures can be seen on my Transition Towns photos gallery. Most of the portraits I get commissioned to take are on location, at a subjects house or place of work. So I was excited to have landed a job in an East London studio, photographing a group of six individuals from the legal sector. The Shoreditch ambience was evident in the jazzy vibes emanating from the music box, rustic warehouse aesthetic and coffee on drip. Windows along the main studio wall could have caused me havoc with hotspot reflections from lights, so I was thankful to have arrived far enough ahead in order to work out a way of minimising this. Furniture came in all shape and sizes, providing a nice variety of interesting seating options, and the group was mixed enough in appearance to enable a final image that I was pleased with. The reward? A cover as well as DPS in this month’s Briefing. More London editorial and corporate portraits here. One of my pictures appears in The Guardian, the newspaper that I most regularly read. 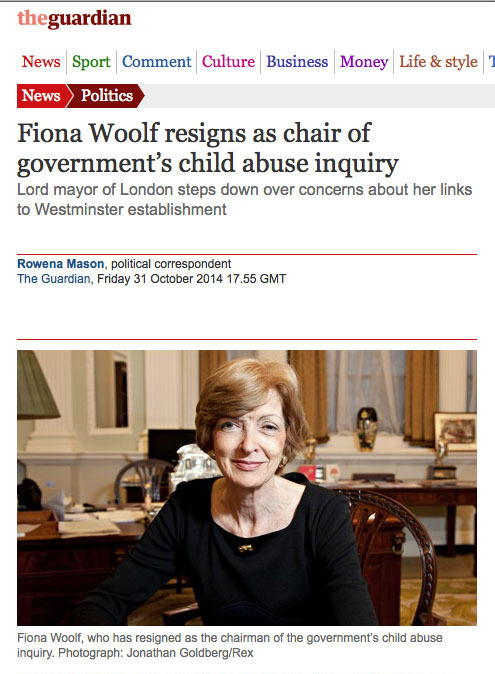 It’s of Fiona Woolf, Lord Mayor of London, who was controversially given a role to chair an enquiry into child abuse. But I took the picture almost a year ago for a legal title, an intimate interview at which she admitted myself and the journalist into her expansive office. More of my profile portraits can be viewed on my website gallery. When I have time I spend painstaking hours key wording images prior to submitting them to picture libraries and agencies, and occasionally they see the light of day in high profile publications. In the summer of 2014 I was selected to undertake a commission in collaboration with FotoDocument, Photoworks and Bioregional. 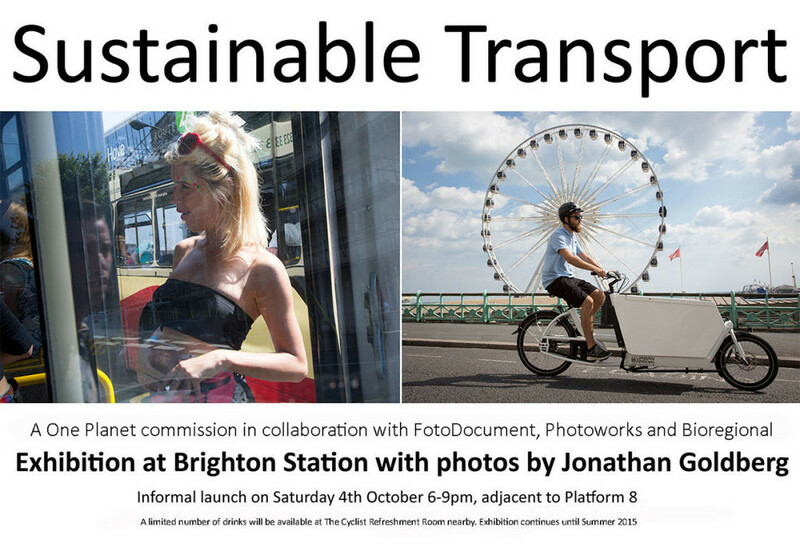 I was given 3 months to complete a photo essay on a One Planet principle: Transport. At the same time 9 other photographers were asked to complete similar essays on sustainability principles: Water, Materials, Zero Waste etc. Previously several of my personal projects have been about either transport or sustainability issues, so this was a dream commission for me. And to top it all it was set in Brighton and Hove, the first city to gain One Planet status. That means it received accreditation from sustainable development charity BioRegional, and will therefore be able to implement more sustainability projects. 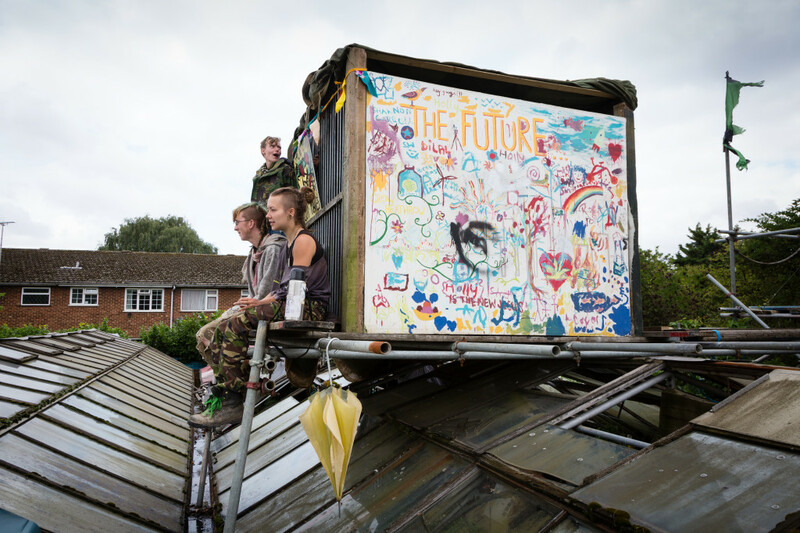 All of the projects are showing in site specific locations: Sustaianable Food is on at the Open Market for instance. 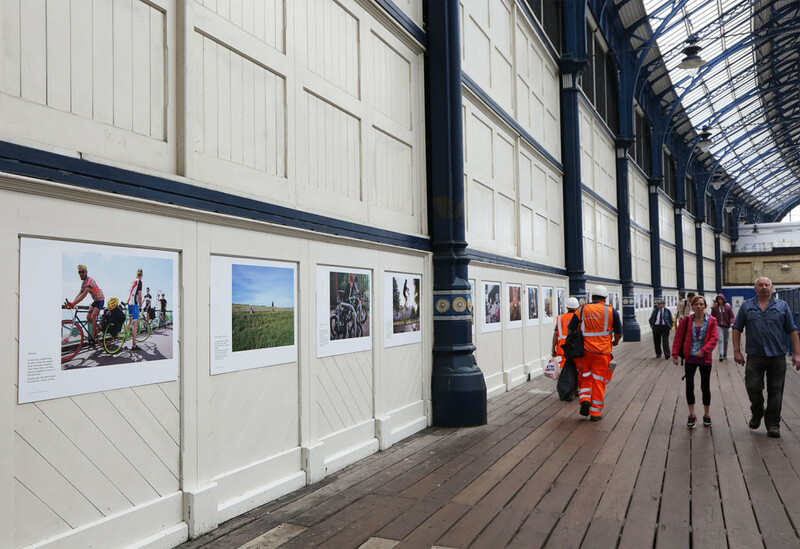 Mine are up at Brighton’s main railway station until July 2015, so please use this excuse to come down to the south coast for a visit. Dr Leah won a series of Alan Sugar’s The Apprentice, and is pioneering a new concept, that is a cosmetic surgery drop-in clinic. I got the call from an Irish national paper, with the brief to get a range of shots which show off the place. That wasn’t difficult, as the interior is brand new , and the lady herself is very presentable. In fact the main problem was that she seemed to have had modelling lesson, and made all the moves that looked more akin to a glamorous model rather than an entrepreneurial doctor. We took her outside to get a few city pictures in order to establish the context, but the paper went for some of the more conventional lab shots. Another portrait of Dr Leah can be found on the portraits section of my website. 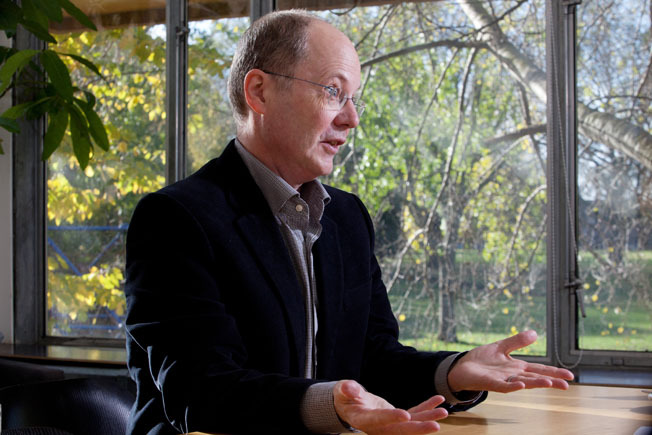 I had the pleasure to photograph someone that I would put on a pedestal, James Thornton, founding CEO of Clientearth. 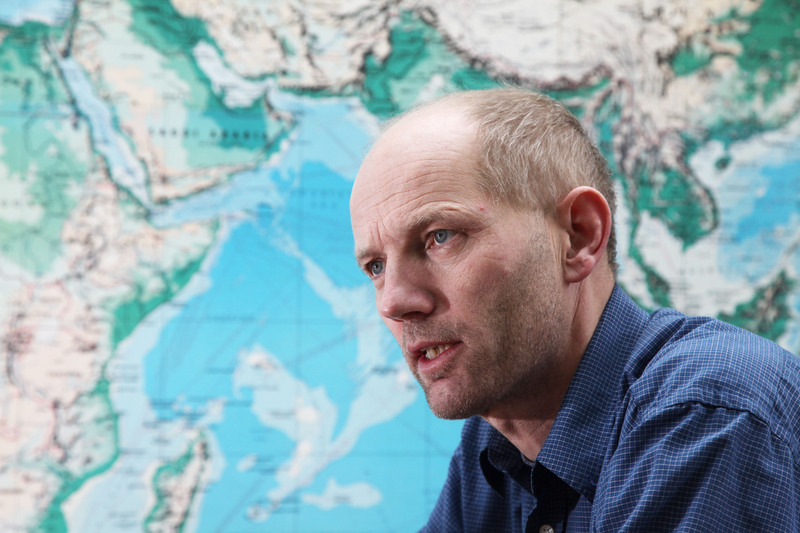 His practise is Europe’s first public interest environmental law organisation, and he is in the New Statesman’s top ten of people who could change the world . Not only that but he is an ordained Zen Buddhist and author of 3 books, one of which (Field Guide to the Soul) I ordered on my return home. The office of Client Earth is nothing less than you’d hope for when visiting this environmental warrior. Based in London Fields, Hackney, they have a high-ceilinged open plan room with organically shaped windows above stunning vistas of the fashionable park. A bbq sits on the balcony in preparation for summer staff dining. The man himself epitomises calmness and serenity, an agreeable soul with an underlying drive. The day I went to photograph James the sun beamed through the window, providing my subject with a halo which I could only conclude was thoroughly appropriate. 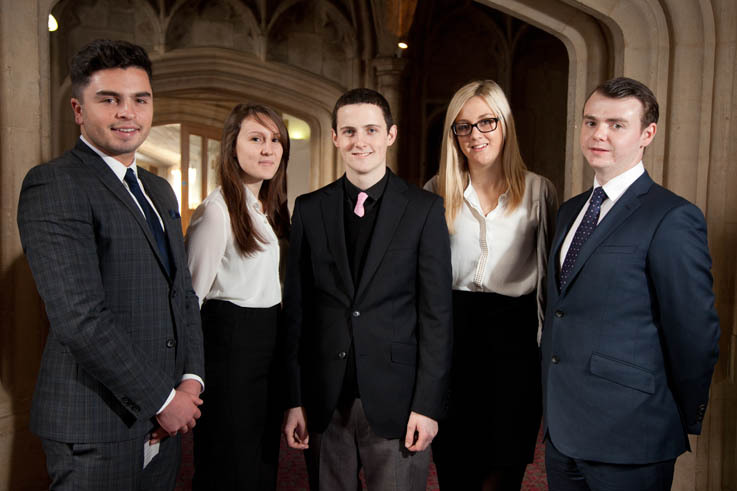 These determined young individuals are all working as apprentices in the city of London. They have jobs ranging from Housing Officer to part of a communications team. I like the contrast between fresh faced employees and the sense establishment that the location brings. The light is a good mix between natural available fill from the windows on the left and behind subject, and brollie to my right. Best of all there is a professional air about this group, yet it doesn’t feel too staged.